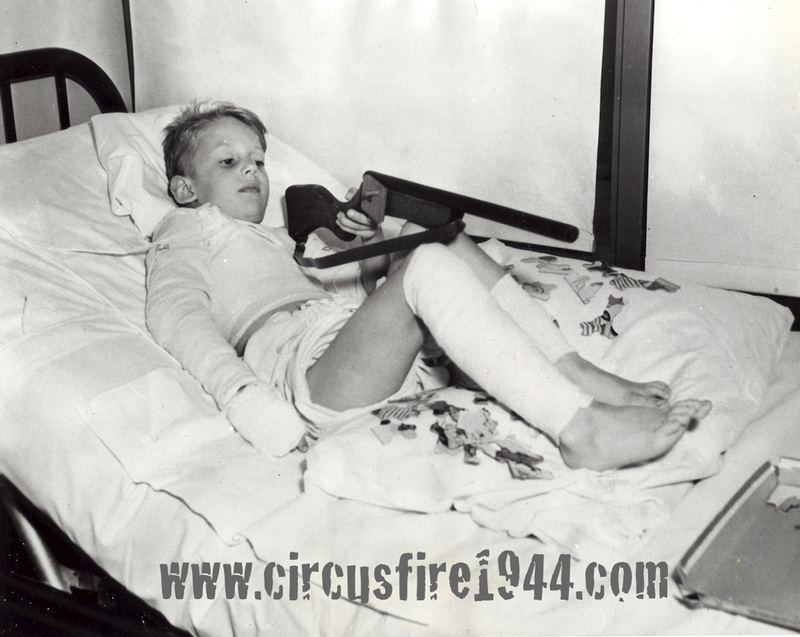 Thousands of circus fans attended the afternoon show on July 6, 1944, and many were fortunate enough to survive the blaze. Here are the names of some of the survivors, also including names of persons who helped or are otherwise associated with the Hartford circus fire. Names sorted by "last name first"; in cases of women who married after the circus fire, their name in 1944 is used when known. The search function at the top of the page can also be used to search the entire website for a specific name or term. Attended the circus with his friend Dave Corn and 6 younger children. They all got out safely. Worked as superintendent at the Collinsville Water Company. Albert attended circus with his wife Bertha Viering and their granddaughter Joan Louise Bristol, and was approached by a circus usher who offered them seats in Section B for $3.60. They sat about 2/3 of the way up, at the end of the section. Albert heard someone yell "fire!" and turned to his left and saw the fire go up the canvas sidewall and ignite the canvas roof. He walked along the south side of the Hippodrome track with his wife and granddaughter to the far end of the big top where the band was playing and they they walked out the east exit and continued on through the woods. The heat was terrible. 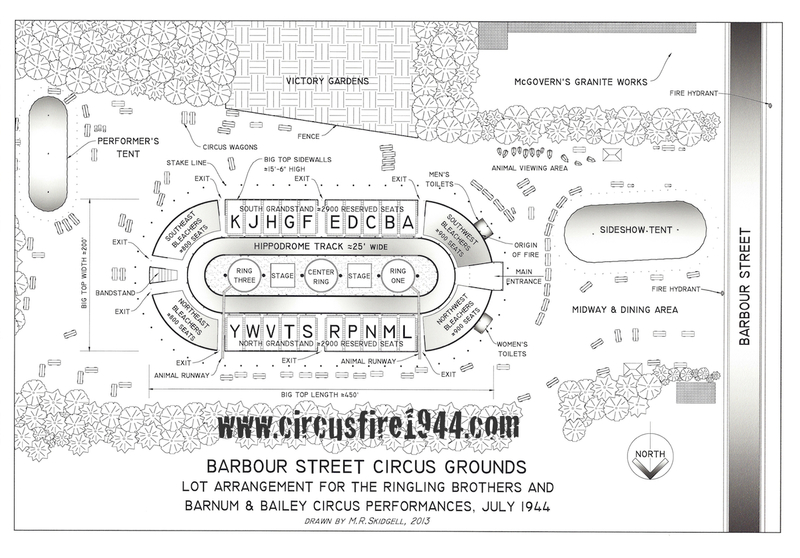 Attended the circus with her husband Albert Viering and their granddaughter Joan Louise Bristol, and they sat in Section B. Bertha heard a young lady yell "fire!" and she looked and saw flames on the sidewall just as they reached the edge of the roof. When the roof caught fire, it spread fast. She paused for a moment to determine the safest way out, then held her granddaughter's hand and jumped over the railing onto the track and exited out the east end.